If anyone still remembers, a while ago I wrote an amateur series on halal and haram foods. So everyone knows that alcohol and pork (and pork products like gelatine) are forbidden for Muslims' diet. 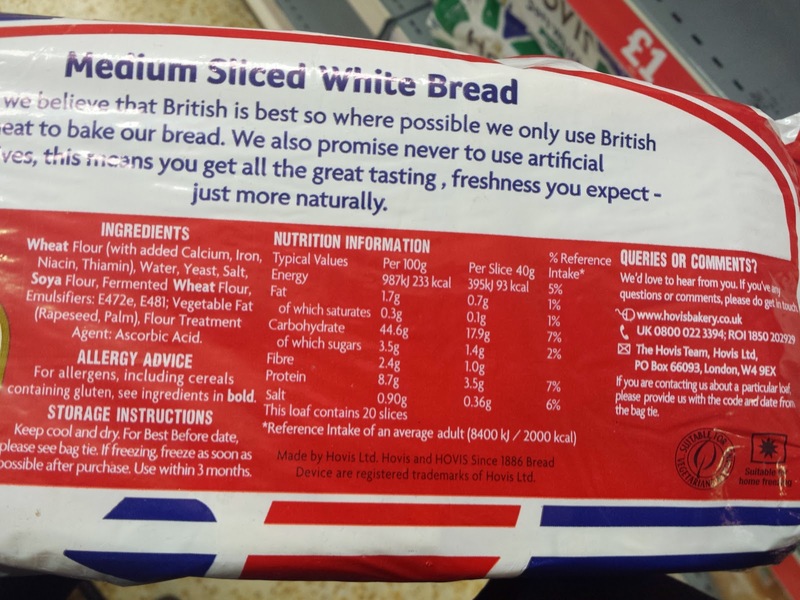 But apart from that, there are a few ingredients that are quite as important in making food products OK to eat. 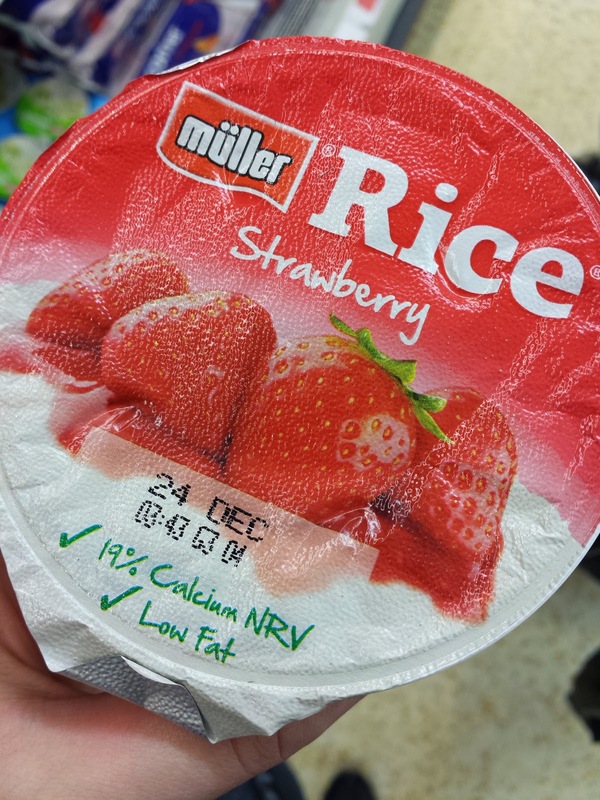 Bright-red pigment obtained from certain scale insects. To prepare carmine, the insects are boiled to extract the carminic acid; then the solution is treated with alum. It is used as a food dye in many products - juices, yoghurt, candy. It is present not only in red-coloured items, but can also be used in shades of pink and purple. 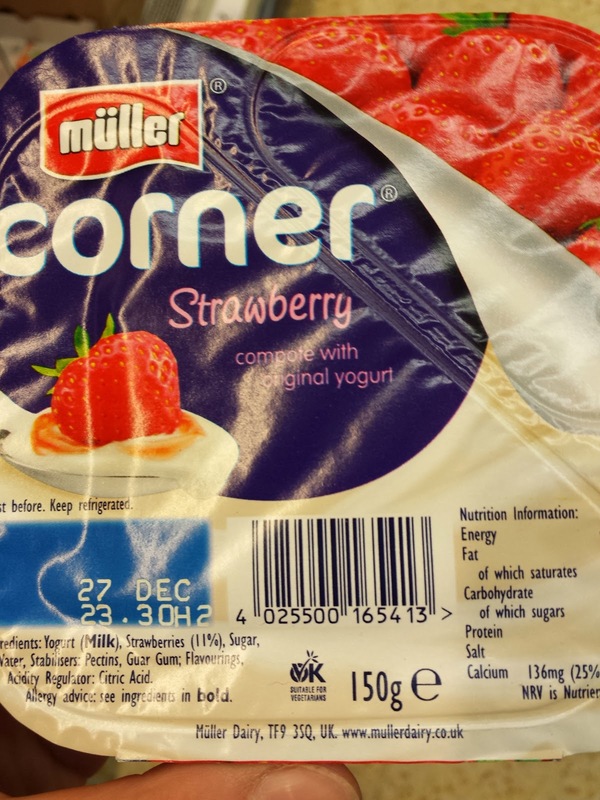 Muller is actually the one that frustrates me a little - they use carmine for their strawberry rice, but the corners are fine. 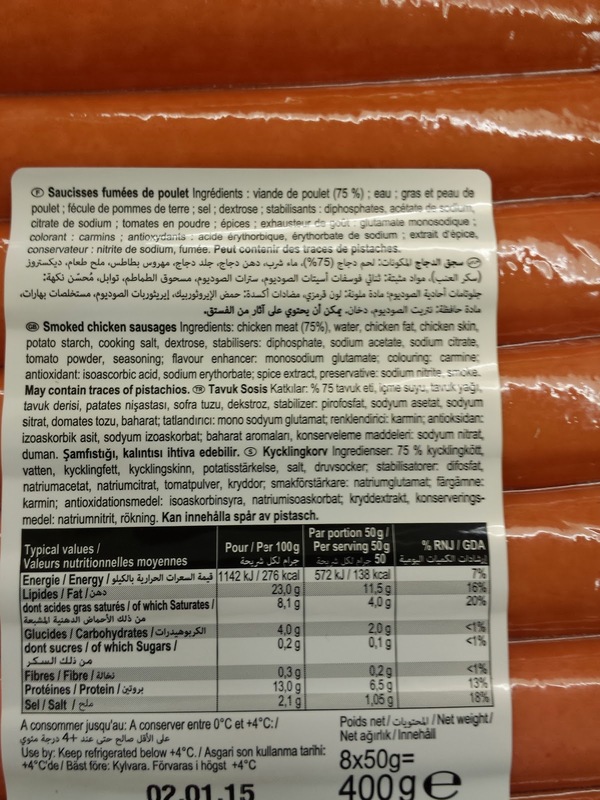 It actually seems to bit of a grey area - these hot dog sausages can be found on the halal food shelf, and are actually certified halal by some authority. 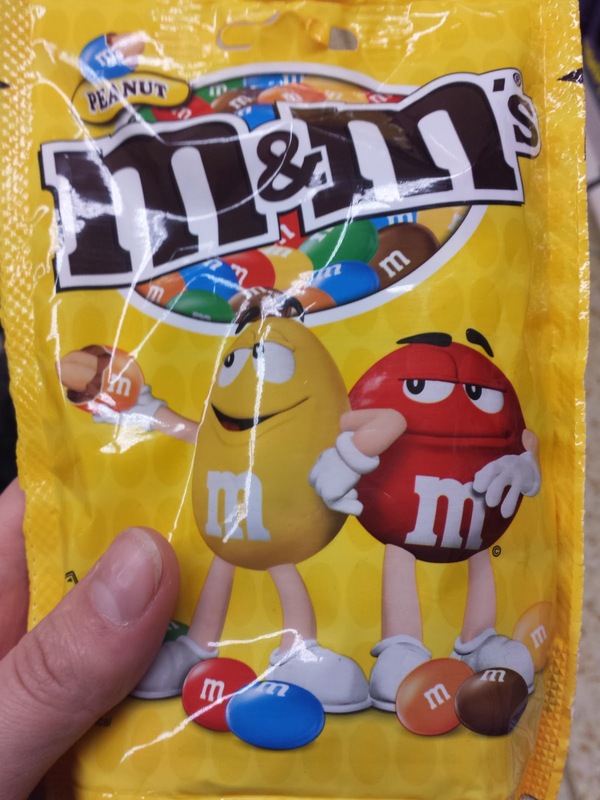 However, majority of sources deem carmine forbidden for consumption, so (as much as I like them) I prefer to choose ones without it. It is a resin secreted by by a female lac bug. Processed as dry flakes, it is dissolved in ethanol to produce liquid shellac, later used as food glaze. 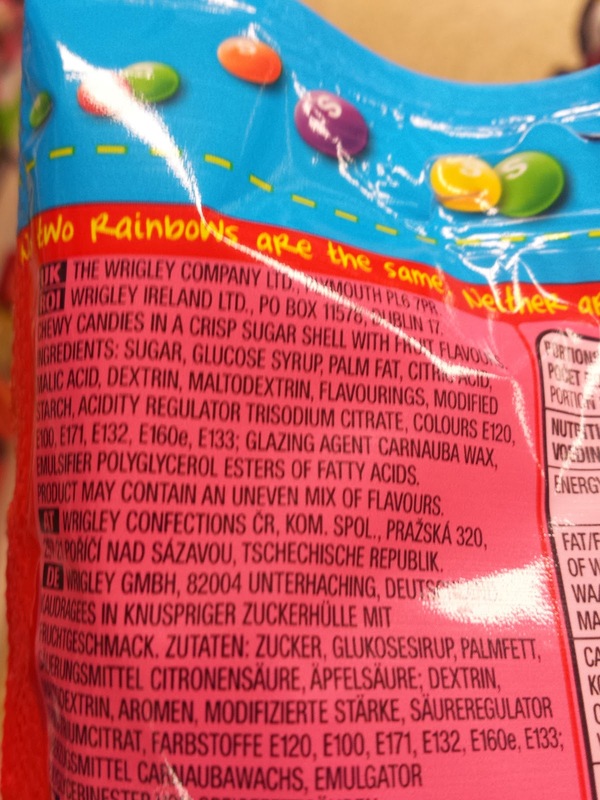 This glazing agent is present in many pills and candies. 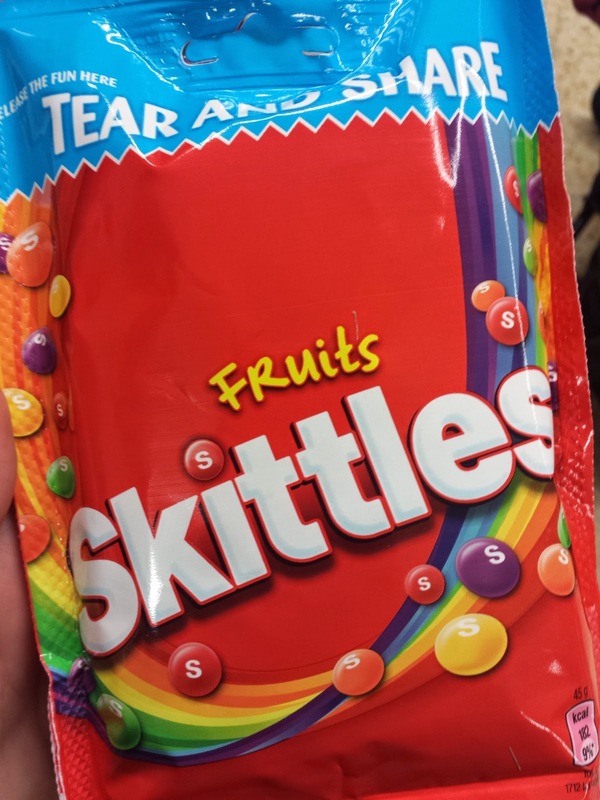 It is also used as 'wax' coating on citrus fruit, which is supposed to prolong their shelf life, and to replace the natural wax of the apples, which is removed during the cleaning process. 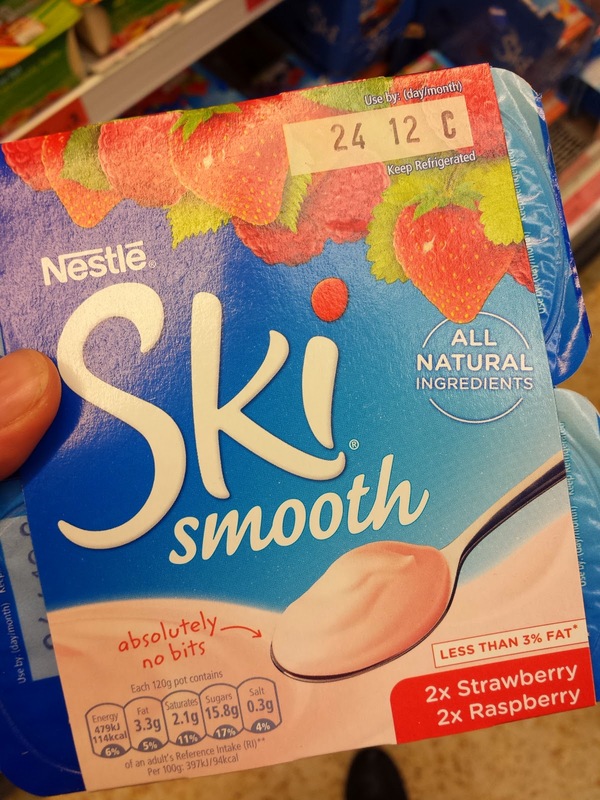 Anti-caking agent, emulsifier and mineral supplement (source of calcium and phosphorus) made from animal bones. It is, however, mainly used in cosmetics - toothpaste, for instance. L-cysteine is an essential amino acid, present in all protein. 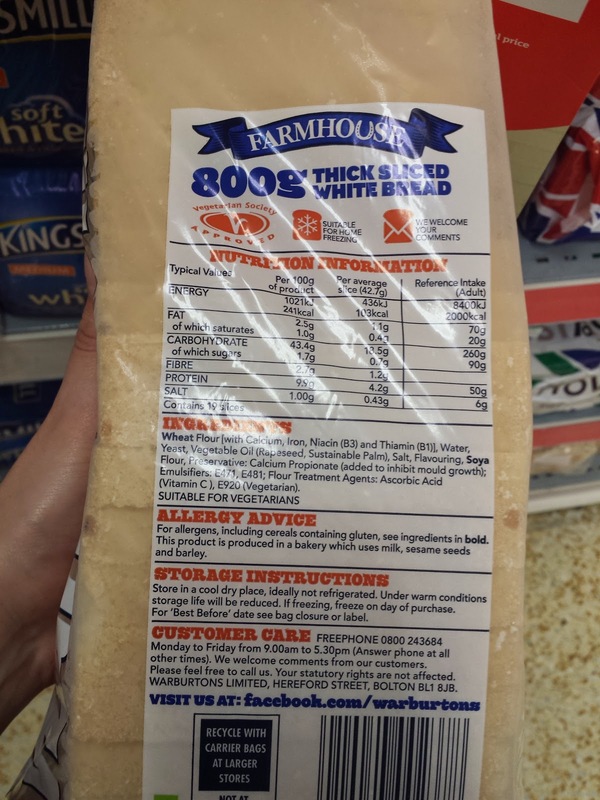 It is commonly derived from animal proteins and hair, including human hair, and used in bakery as a bread enhancer - it stabilises the bread structure. 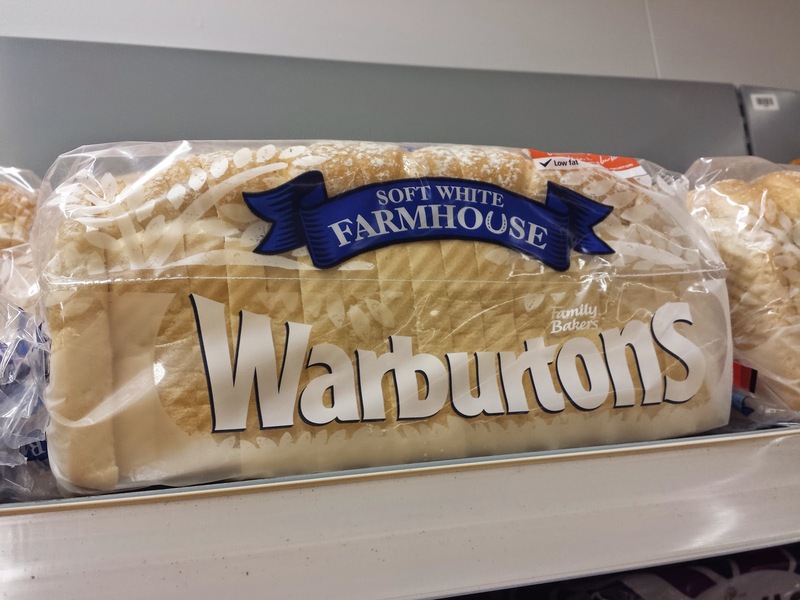 Warburtons bread - label specifically states that the E920 additive is vegetarian. 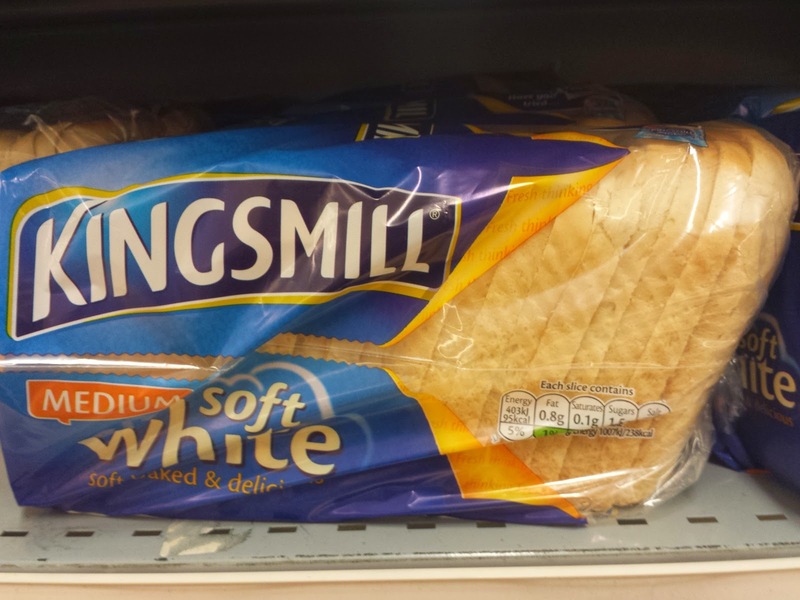 Kingsmill goes a step further - not only is it labelled suitable for vegetarians, but it's also been approved by the Halal Food Authority. 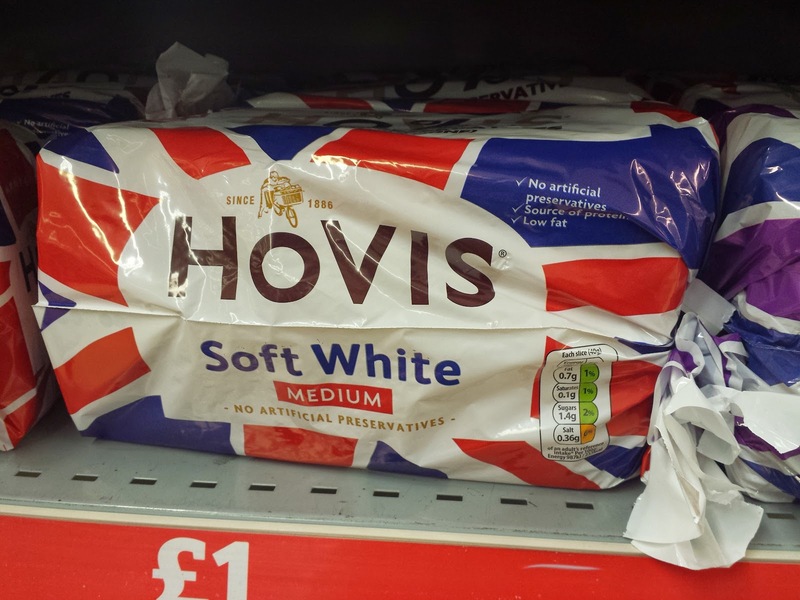 Hovis is also markes vegetarian-friendly. 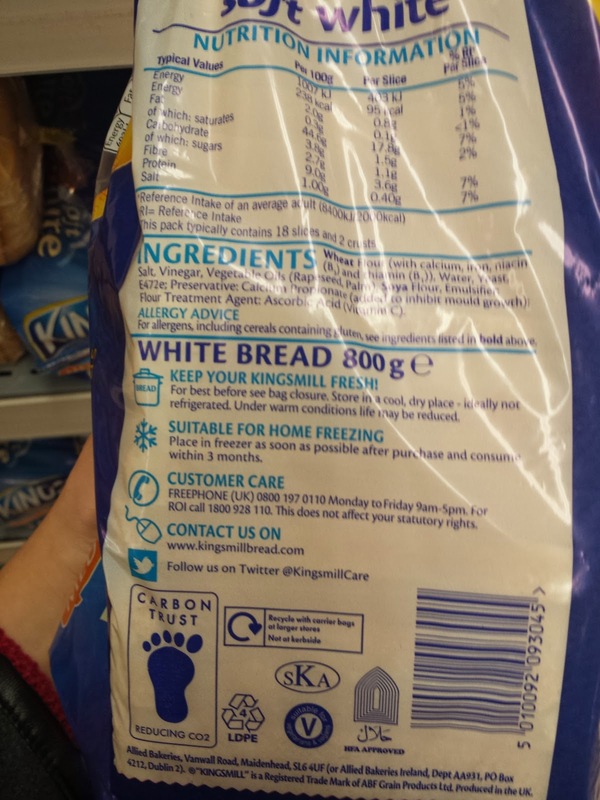 Just like in the Kingsmill bread above, there is no E920 at all. 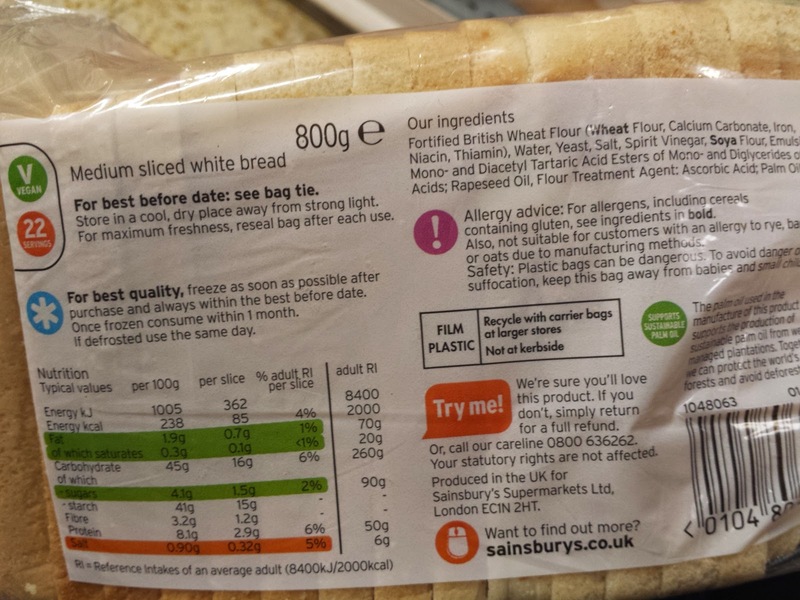 Sainsburys own - vegetarian too, and again Ascorbic Acid is used as flour treatment agent. It is a complex of enzymes produced in stomachs of ruminant (plant-feeding) mammals. It is widely used in cheese production. Its key component, chymosin, curdles the casein in milk, which helps young mammals digest their mothers' milk. Natural rennet is extracted from the lining of the fourth stomach of slaughtered unweaned calves - the stomachs are a by-product of veal production. In cheese making, the rennet is used to separate the milk into curds and whey. Some cheeses are always made using animal rennet, for instance Parmesan (Parmigiano Reggiano) - in order to be called 'Parmesan' it must be prduced using the traditional methods. Grana Padano and Gorgonzola are also the kinds to watch out for. There are 'Parmesan-style' cheeses available - these are suitable for vegetarians, hence halal diet-friendly too. There are, however, non-animal sources of enzymes, including plants, microbial sources and fungi. Currently most popular is the use of fermantation-produced chymosin (FPC). Rennet-producing genes from animal stomachs have been extracted and inserted into certain bacteria, yeasts or fungi, to enable them to produce chymosin during fermentation. 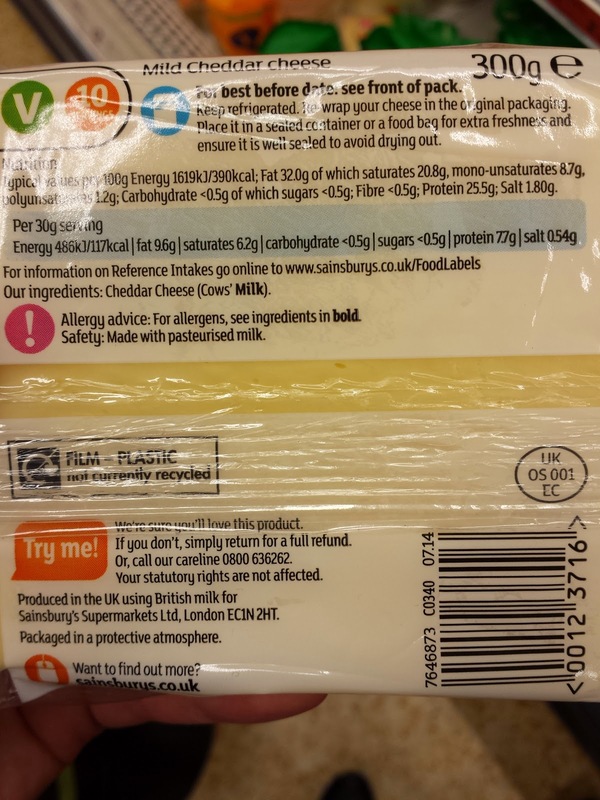 Cheeses produced with FPC can be certified halal or kosher, and are suitable for vegetarians if there was no animal-based alimentation used in chymosin production. Many soft cheeses are produced by acid coagulation, without any use of rennet. Cheeses like paneer or cream cheese are traditionally made this way. 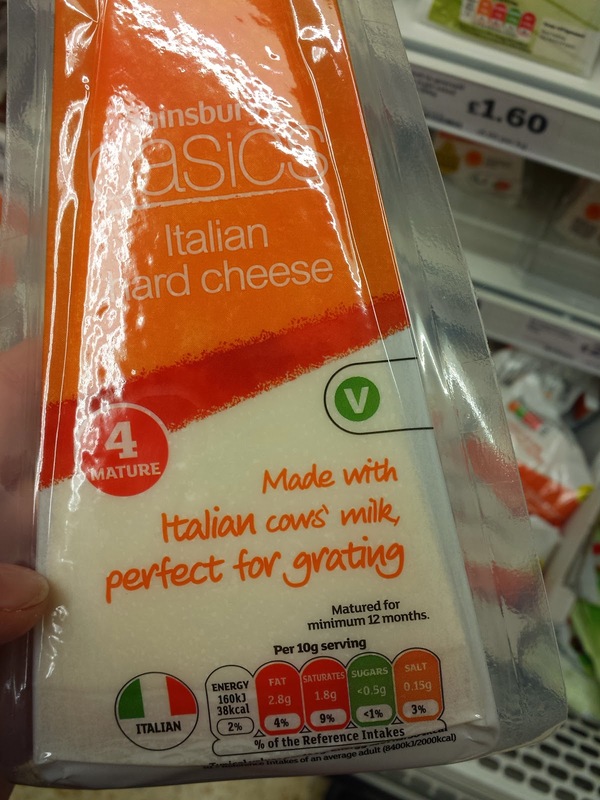 Example: supermarket's own hard cheese is suitable for vegetarians, while real Parmesan isn't (I could swear I took a picture, but turns out I didn't ;)). 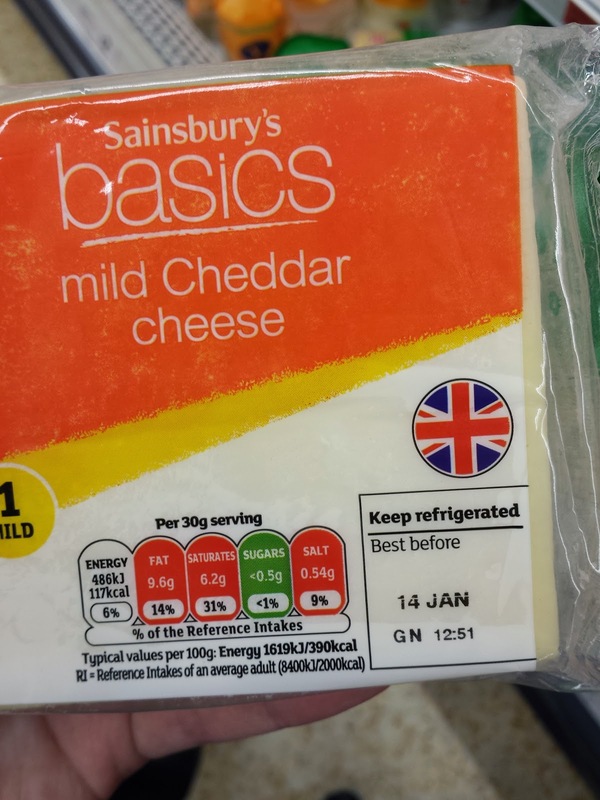 Plain mild Cheddar is not an issue - it's usually the hard and traditionally prepared trademark cheese, where rennet is used in the production process. My personal advice - go for the "V" sign. That makes me sure that there are no unwanted products of animal origin in the food I buy. 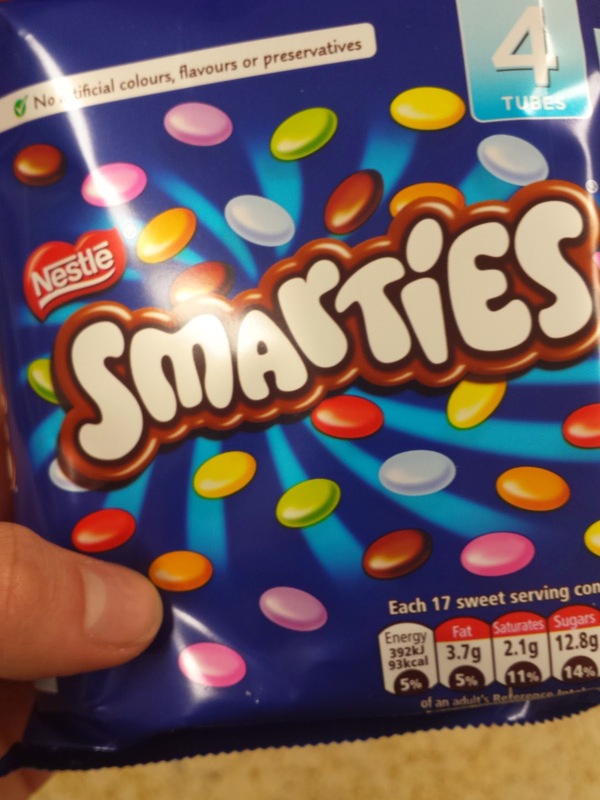 Disclaimer: I do not claim to have any authority to deem any foods halal or haram. The above post is a result of my own research and written according to my own beliefs and choices. Halal only if it is obtained from plant fat. 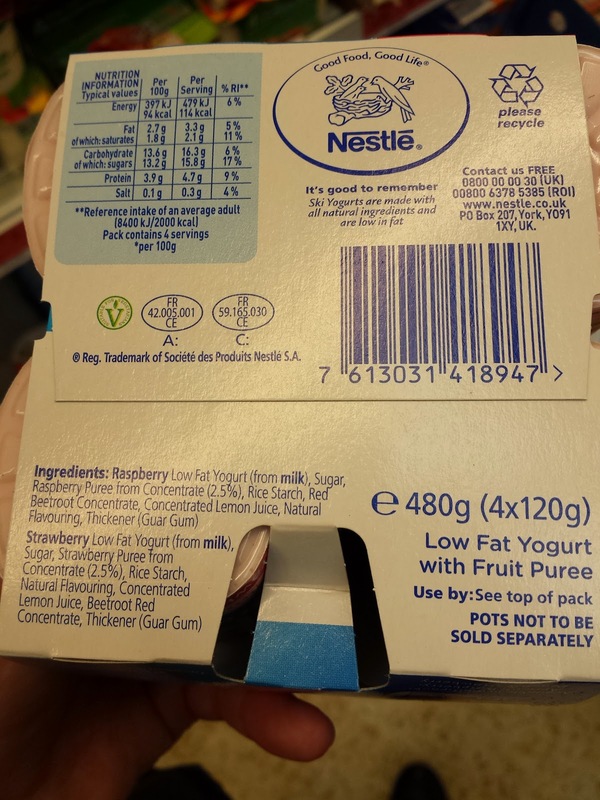 If the fat source is from soy fat then it is Halal. 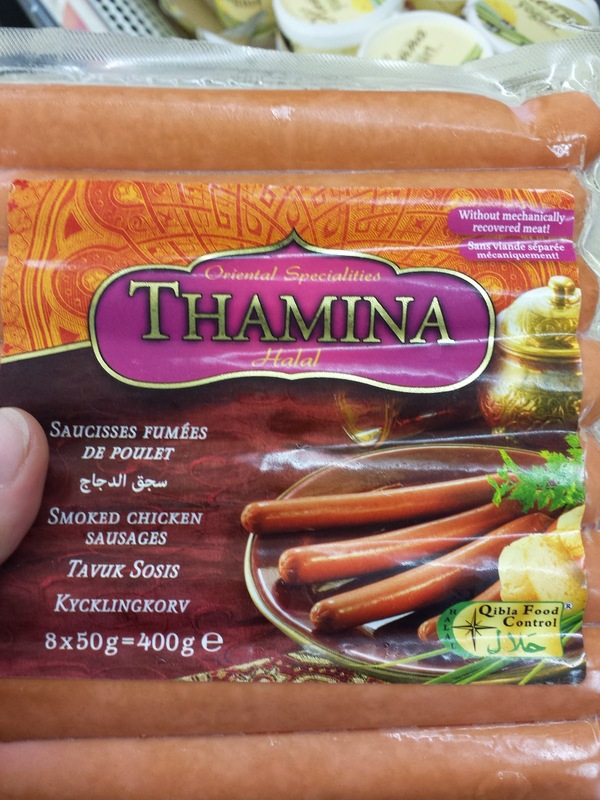 If it is from pork fat then it is Haram. If it is from non zabiha beef then it is not Halal. 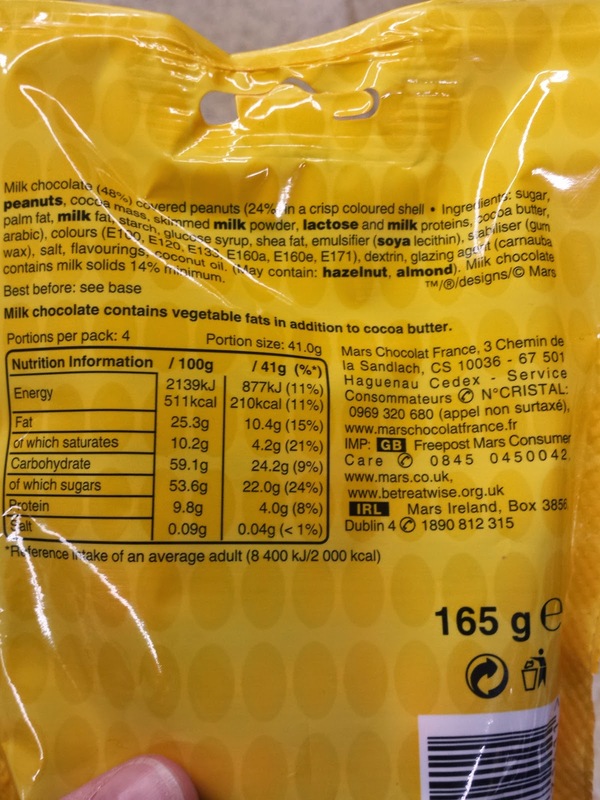 If a claim appeared on food package "Suitable for Vegetarian" containing E-Number 472e the it means the E Number 472e is from soy fat. 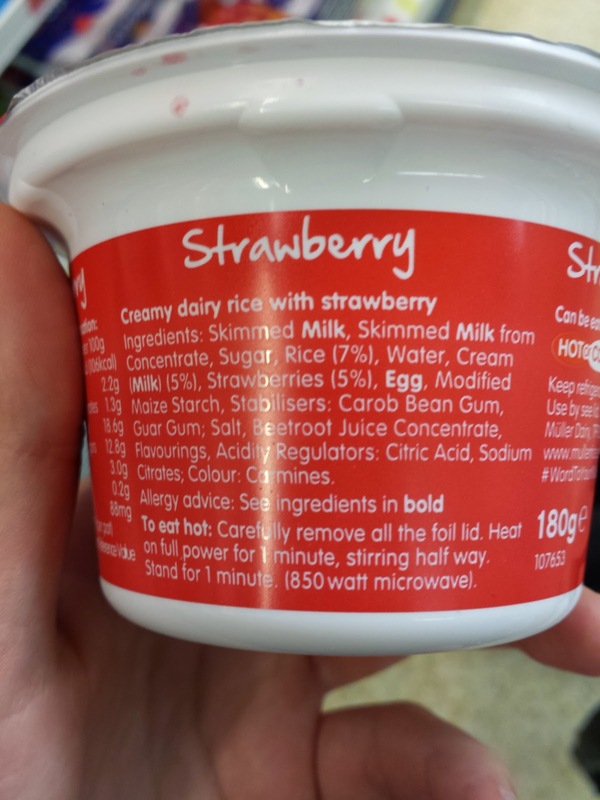 The food product is Halal if all other ingredients are Halal..
i think they well use non veg one because its cheep.